Because their mothers do not carry them around when they are piglets, pigs hate being lifted up and let out an extremely high pitched scream if their feet are off the floor. Pot Bellies are extremely smart and some people house train them. We don’t think they make very good house pets though! A male is known as a BOAR, a female is known as a SOW and a baby is known as a PIGLET. A group is known as a DROVE. 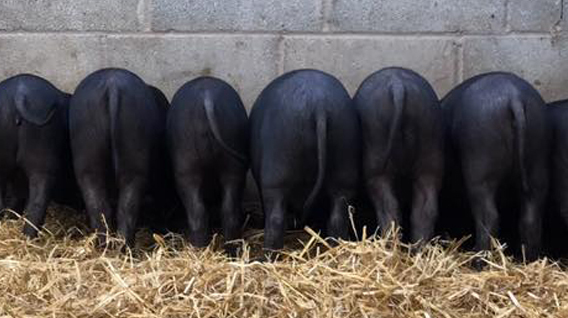 The original pot bellied pigs are black but now there are several other colours such as white, tan grey and red. 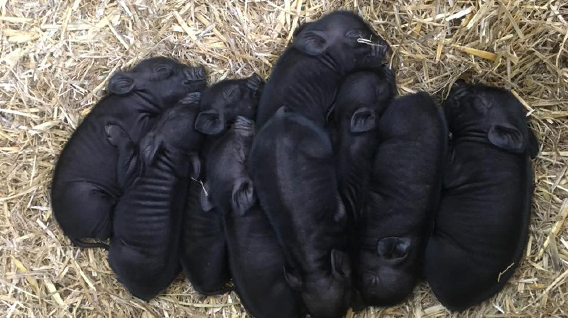 They have litters of 2 to 12 piglets. Potbellied pigs are clean, intelligent, affectionate creatures. 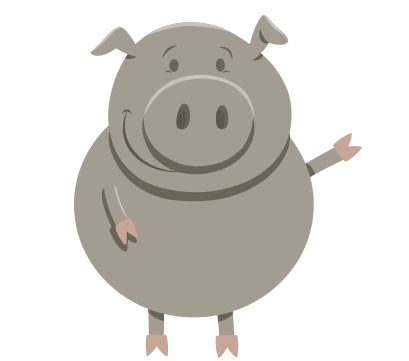 Pigs are the fourth smartest animal group on the planet, following only humans, apes and chimps, whales and dolphins. Ever hear of the phrase “sweat like a pig”? Well, pigs do not actually have sweat glands. Pigs cannot sweat! This means they need plenty of fresh water available at all times to prevent overheating. Pigs’ skin lacks hair, so they are very sensitive to the sun. In the wild they wallow in the mud to stay cool and protect their skin. 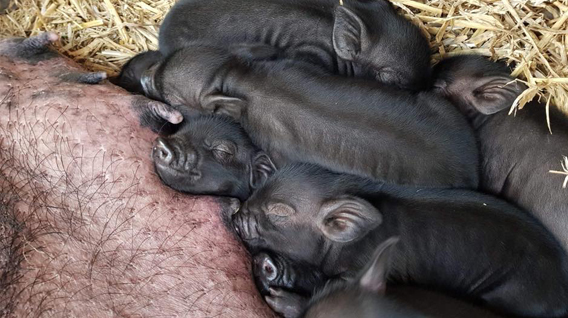 Each piglet returns to the same teat each time to suckle from its mum, this is how a “RUNT” is made. Each teat produces different amounts of milk. ORIGIN: Vietnam, China and Asia. WEIGHT: They weigh around 150 pounds. SIZE: Can grow 12 to 24 inches tall. DIET: They are grazers rather than foragers. They eat fruit and vegetables.